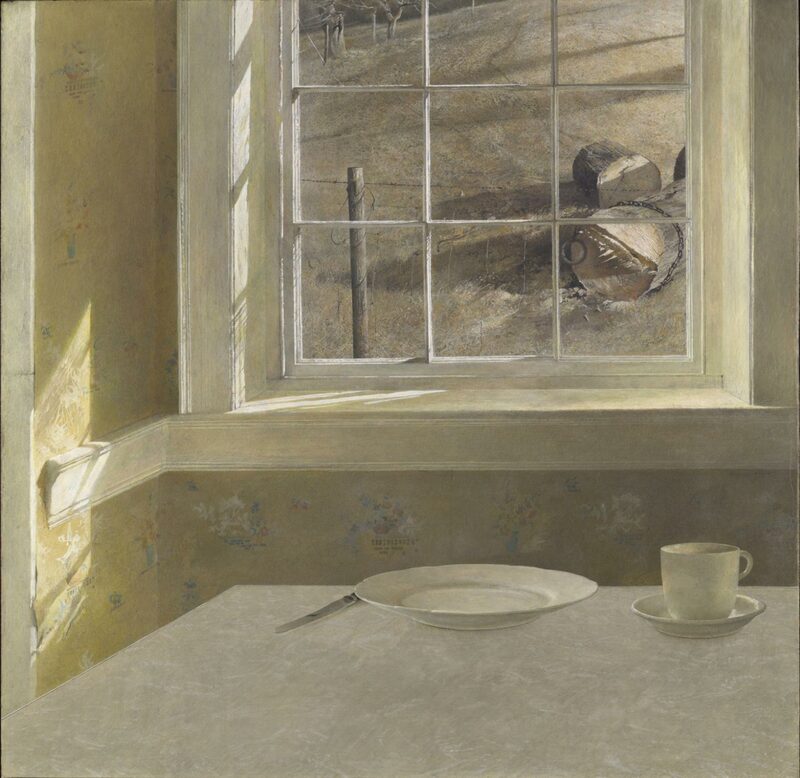 Andrew Wyeth often is seen as existing outside his own time or any particular tradition. In his art, however, he maintained a strong continuity with the painters of the 1930s and 1940s who focused on typically American scenes of daily life. Using the medieval technique of egg tempera, here Wyeth created a sense of great intimacy through his exquisite rendering of his neighbors’ light-flooded Pennsylvania farmhouse kitchen. Yet the dryness and restraint of the demanding medium combine with the image of the table’s solitary place setting to evoke a mood of overwhelming loneliness. Outside, the wire fence and the steeply rising hill that cuts off any glimpse of sky compound this sense of isolation. John B. Ravenal and Anna Vallye, from Philadelphia Museum of Art: Handbook. Philadelphia: Philadelphia Museum of Art, 2014, p. 350.